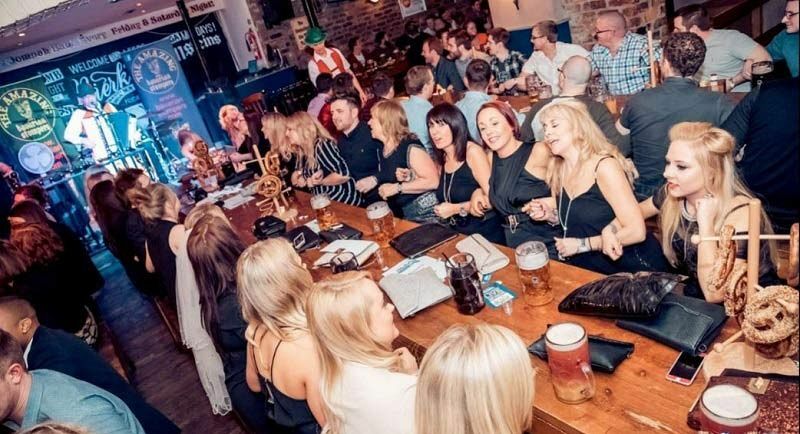 If you’re looking for a unique and exciting idea for your annual Christmas celebration in Leeds this year, then how about experiencing an evening full of Bavarian fun at this excellent Bierkeller complex? 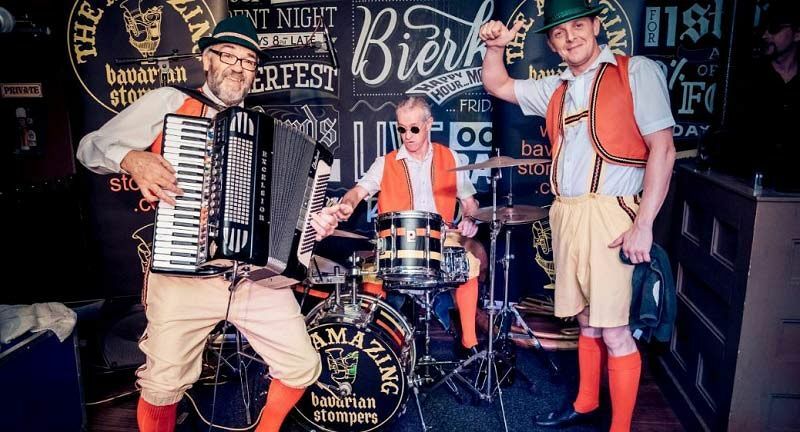 This top festive package for Thursday, Friday and Saturday nights contains everything you and your team need to enjoy an unforgettable evening that includes delicious food, drink and some outstanding entertainment from the incredible live Oompah band, who will be sure to raise the roof! You’ll receive guaranteed seating for your group at the classic long wooden benches (which also serve as a great place to party to the band after your food!). Indulge in the likes of a succulent hog roast, or perhaps you’d prefer to go for a vegetarian burger or a vegan hot dog? Team your chosen main with a traditional stein of Haus Bier, cider or a cocktail and you’ll be set up for the evening. 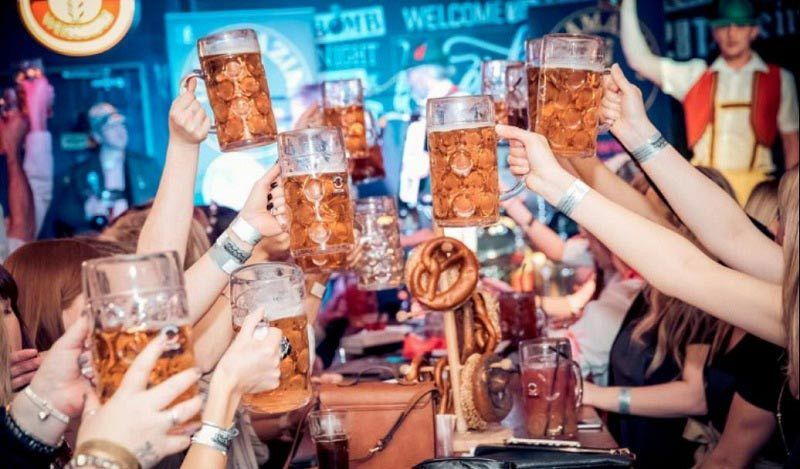 This package also includes a delicious Pretzel to give you the full Bavarian experience and a cheeky shot which will keep the merriment in full swing. As the clock strikes 9.00pm, everyone will be entertained with the talents from the lively and energetic Oompah band, who will raise the tempo of the evening and add to the incredible atmosphere. And yes, they will be sporting Lederhosen’s in true Bavaria fashion. 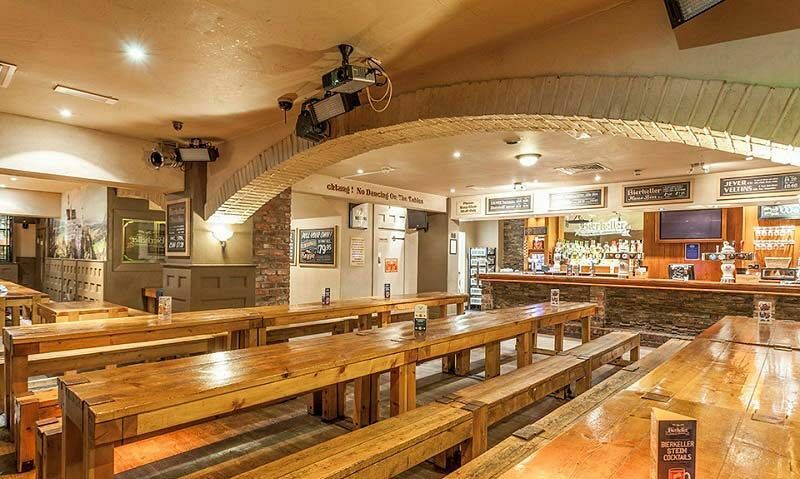 Alternatively, arrange at Christmas party at this top venue Sunday-Thursday and take advantage of the fantastic food and drink deals and fantastic music! Various food and drink options are available.